Vivek Agnihotri's upcoming film, The Tashkent Files looked like it would spell controversy right from the start. The film based on unearthing the truth behind the death of former Indian Prime Minister Lal Bahadur Shastri has now been served with a legal notice by the politician's grandsons. The family has sought a stay on the release of the film. According to reports, the Shastri family has questioned the timing of the film's release and therefore its intentions. The Tashkent Files is slated to release on April 12 which is in close range of the Lok Sabha Elections 2019. The family of Lal Bahadur Shastri has also asked for a special screening of the film for the family before its theatrical release. One of the key issues raised by the family is that the makers had not sought permission before working on the film and also clarified that there is no mystery surrounding Shastri's death. Official reports have stated Shastri's cause of death as a heart attack but for years, there have been controversies about the former Prime Minister's death having foul play. Is Vivek Agnihotri’s The Tashkent Files the Reason Why Vivek Oberoi’s PM Narendra Modi Biopic Release Got Preponed? 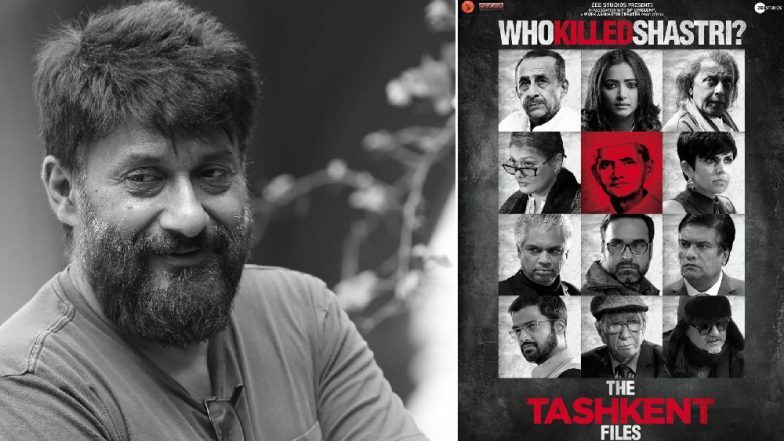 Although, director Vivek Agnihotri has now responded to the notice and released a statement saying, "As you are aware that my film ‘The Tashkent Files’ is releasing on the 12th. Last night we have been served a legal notice seeking to stop the release of the film by the prominent Congress member and also Ex-Secretary of Congress who also happens to be Lal Bahadur Shastri’s grandson and a close aide of the top family. This is despite them seeing the film, appreciating it and expressing their gratitude to me in person in the 7th April in Delhi at PVR." The trailer of Tashkent Files was released last month and the film stars some big stars such as Mithun Chakraborty, Naseeruddin Shah, Shweta Basu, Pankaj Tripathi, Vinay Pathak, Mandira Bedi, Pallavi Joshi, Ankur Rathee and Prakash Belawadi.